Workers in Yorkshire face working the best part of a decade longer than their parents to maintain their current living standards when they retire, according to a report. The findings raise the prospect of some people having to “work until they drop” to sustain their current lifestyles. An average earner who starts saving for a pension aged 22 and makes the minimum statutory contributions would need to work until the age of 77 to get the sort of “gold standard” pension enjoyed by many of their parents’ generation, the research found. This is defined as a total pension, including state pension, equating to two-thirds of that person’s income before they retired, and it would include protection against inflation as well as provision for a surviving spouse. Even to get a “silver standard” pension of around half of pre-retirement income, with inflation protection and provision for a spouse, the same worker would need to work until the age of 71, the report found. But with wages varying across the country, those in high-income areas need to build up much more private pension to maintain their current living standards than people in lower wage areas. Across Yorkshire, people can not expect to reach their gold standard pension age until 76, and their silver standard pension until 70. In Harrogate, the figure is slightly higher at 77 and 71, and in Bradford marginally lower at 75 and 69. In several areas of London, including Camden, Wandsworth, Bromley, and Richmond upon Thames, people may need to work until their 80th birthday to achieve their current living standards in retirement, the report found. In Westminster, someone may need to work until the age of 81 to reach the gold standard - while in Boston, Lincolnshire, they would need to work until the age of around 73 - a gap of eight years. In Scotland, a worker would be aged 77 by the time they achieved their retirement gold standard, while in Wales and Northern Ireland they would be 76. Former pensions minister Steve Webb, who is now director of policy at Royal London, said: “It is great news that millions more workers are being enrolled into workplace pensions, but the amounts going in are simply not enough to give people the kind of retirement they would want for themselves, and certainly not the sort of pensions that many of those retiring now are enjoying. “Even in lower wage areas people face working into their early seventies to get a comfortable retirement. Even within regions, there are sharp variations in the length of time it takes for people to save for a gold standard pension. 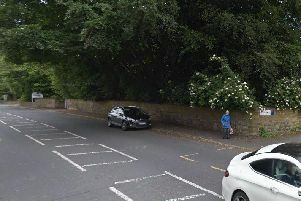 The report found that in Burnley in Lancashire, for example, someone could achieve their gold standard pension by the age of 74, but in the nearby Ribble Valley, where average wages are higher, they would have to wait another three years typically, until the age of 77. Mr Webb continued: “The best antidote to having to work well beyond normal retirement ages is to start saving early and to increase pension saving. Here are the average ages at which people across the regions can expect to achieve their gold standard pension age, followed by the silver standard age, according to the analysis from Royal London, with some examples for each region within the figures.